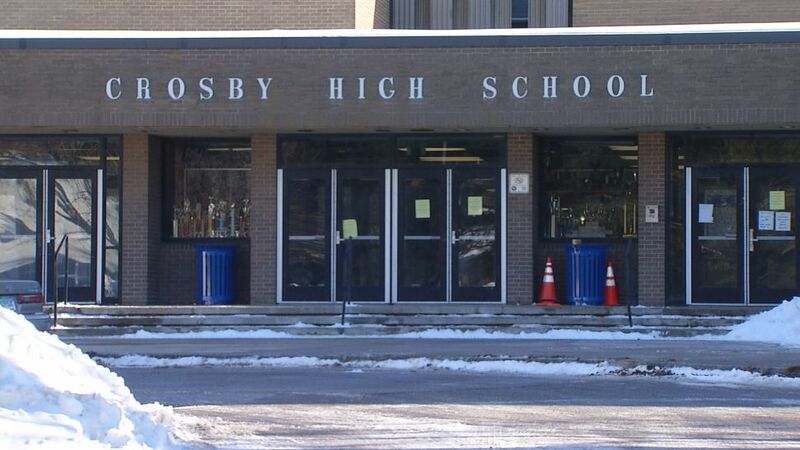 Poor student performance at Crosby High School in the East End of Waterbury sent city government officials to the State Board of Education yesterday, offering reforms in return for more state money. Incoming freshmen such as Emil Cecunjanin, now an eighth grader, would go to Crosby for four weeks this summer to learn the ropes at high school. "It would help me out with my grades and get ready for next year," he said. "It's a good school, good sport teams, organized well." Crosby would be reorganized into divisions, each with its own theme and faculty, all with more advising and more hours in the classroom. Waterbury will need help from its teachers' union to make the longer class days happen. One Crosby graduate from 1970, Tom Carmody, said just being on a hillside outside of town is an improvement. "It used to be downtown," he said. "The downtown one now is a police station. But up here in the East End, I think it's a lot better."